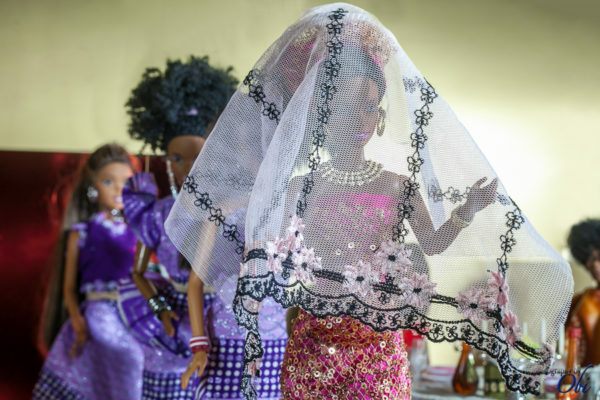 Ok, I have already confessed my love for weddings on the Funke Akindele wedding post and I am sorry to bore you on how much I love and can’t stop talking about it but I just have to. 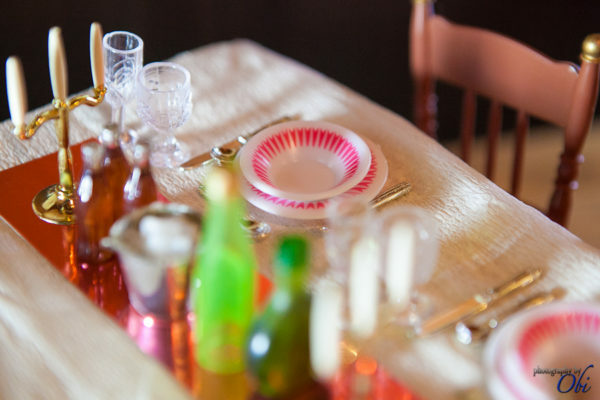 Apart from the couple’s first dance, the first kiss, the food (Yes, ke, a wedding has to have good food), I also love a wedding that has a good photographer. A friend and I were talking the other day about wedding photographers that truly know how to capture the most memorable moments couples would like to see on their wedding albums and the name Obi Nwokedi came up. 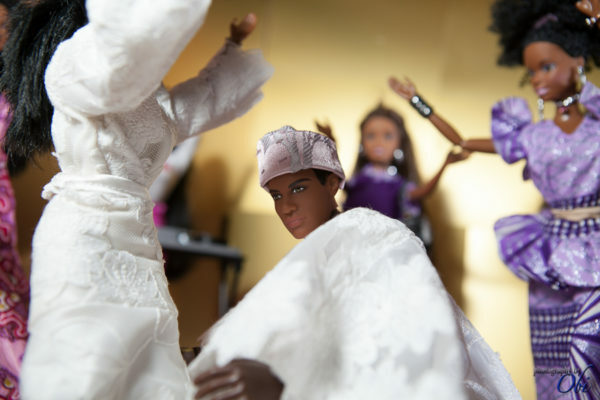 After surfing through his website, I found a one of a kind wedding shoot the London based photographer had for the black barbie and ken dolls. Short of words and truly impressed by the attention to detail by the photographer, I knew that I had to catch up with the brain behind this spectacular shoot that has gone viral and ask him a few questions. 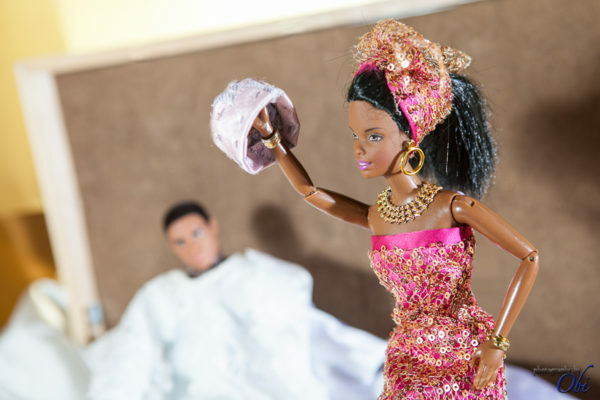 Obi Nwokedi told us that the inspiration for the shoot came from Vogue Italia‘s Black Barbie shoot as well as some French photographer’s barbie based wedding shoot. 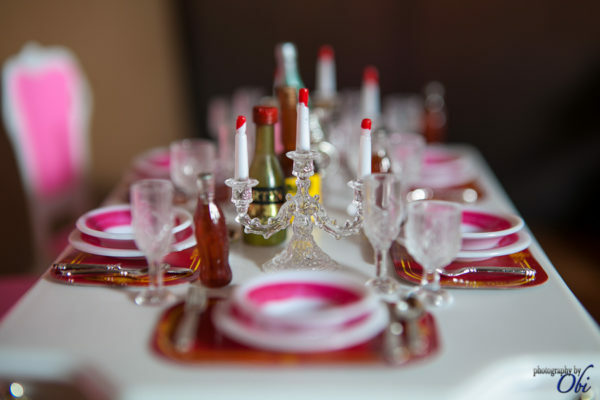 Let’s not bore you with talk, see for yourself Obi Nwokedi’s glam miniature wedding shoot. How long did it take you to finish the shoot? 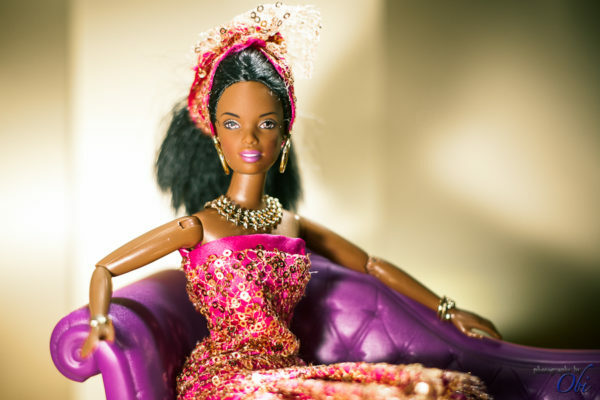 The whole shoot took about 5 months, basically because of the sewing and difficulty finding the little accessories. I must say the clothing and accessories used for the shoot are simply impeccable, who designed them and the set of the shoot? 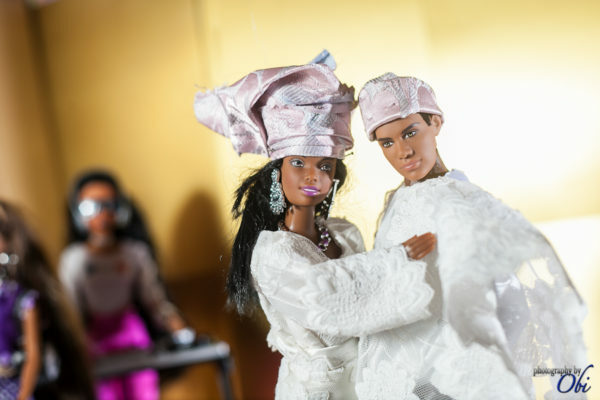 And I humbly speak for all wedding lovers out there, when should we expect Ken & Barbie’s white wedding shoot? 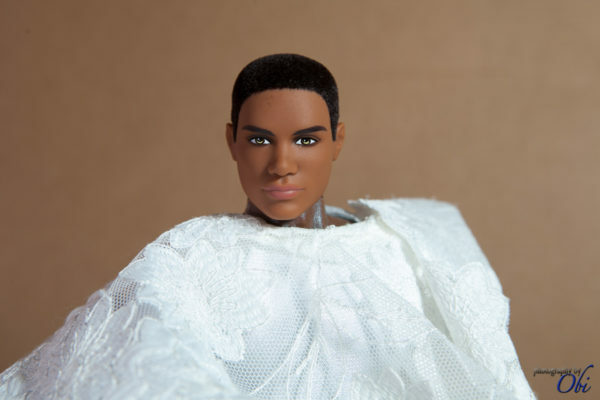 Let’s Imagine black Barbie and Ken are real human beings, can you tell us how they met and how Ken proposed to her? They met through a mutual friend Jennifer, who set them up on a blind date and funny as it may seem they clicked and became an item. For the proposal, Ken took Barbie to Eiffel Tower in Paris and when the moon was about to set, he knelt down and said “I know I am not the best looking guy, I don’t have all the money in the world, but what I do know is that I can’t live without you, will you please marry me and be the mother of my children?”, with tears in her eyes, she screamed Yes! How much did you spend in creating this shoot? A couple hundred pounds I guess, I sort of lost track because the dolls and accessories were bought in bits over a 5 month period. As an experienced photographer, what to you are some of the most memorable moments every photographer must capture when shooting a wedding? For me, its the emotional shots. They could happen anytime, bride looking into husbands eyes during the vows, parents faces and vows are read or during the first kiss, dad’s face when he first sees the bride all dressed up and more. Your favorite color is? I like to think its White but my wardrobe is a sea of blues. On a hot day, you will caught eating what? Nothing, drinking is more like it. omg!!!! dis is super cool…i luv it! Simply Gorgeous and Interesting……Dis is Creativity at its Best! the last pix is so hilarious. well done! yeah i love all thiings wedding & this is really creative. but Dear Bella, can we have a real wedding post? it will make my weekend……………..Thank You! I love, love looooove this… its creativity at its best! wow I had a smile on my face throughout and especially at the last pic where they were wasted after partying lol. The photog has a good sense of humor… good job! OMG….m al ssmiles! i never comment on here! i just have to give it up to u! LOL!! Welldone man! If that ratchet straw looking hair is Brazilian hair to you, it is well. 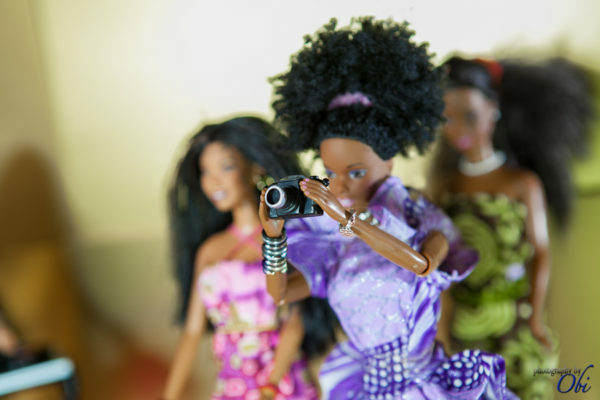 The dolls have always had this type of hair. 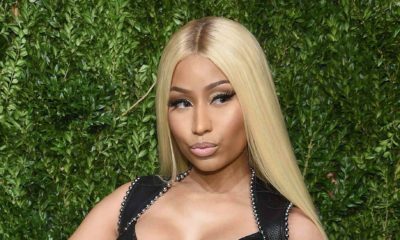 Now if if it looked like remy and they were sporting the Kim K look then ehen, maybe your point would fly. Alas, this is not the case. 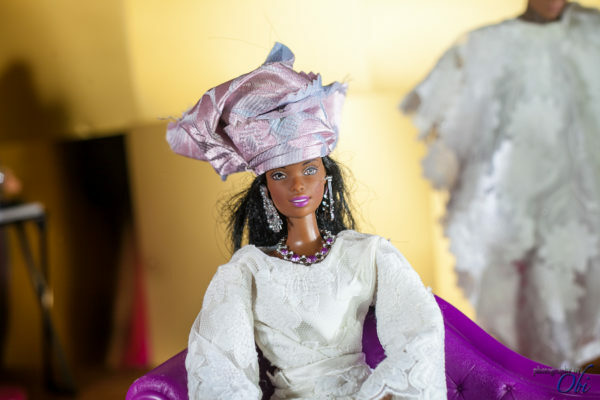 Have you tried looking for an ‘African looking’ doll? Lol; They look like ‘shigidi’. 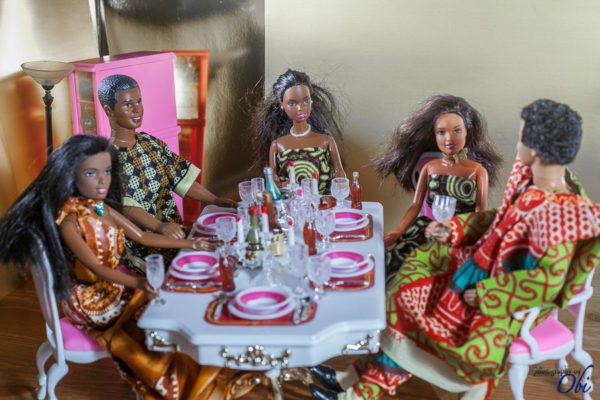 These are really good looking African dolls sans the hair which the photographer has no control over. Awwwwww. so creative, Couldnt help but smile while scrolling through the pictures…Thumbs up! Brazillia hair oooo. I like the photographer’s inspiration but you also know that oyibo can stare at a mosquito to earn a living, if oyibo is snapping doll baby, we need not follow them o. Just my 2 cents. I agree with what you’re saying, but please do note that Christianity was not invented by the white man or westerners for that matter, just ask the Copts in Egypt, Ethiopia, Eritrea etc and the Ethiopian Orthodox Tewahedo Church. I think that false knowledge needs to fly somewhere. Thanks. Was not invented by the whites but eho brought it to you africans?..Stop being a know too well when you dont! too cute! lets know when they have babies…..
Haha. I noticed that too. First thing I thought was: “That hair needs some serious taming”. Cool Idea. This is amazing, can I work with you? @milk chocolate..hahahahahahahahaha. you are soo correct! my friend and i had to scroll up to catch that detail. hahaha!!! Waoooooo! Creativity @ its peak. Luv d detailing in all d pics. Thumbs up! AMAZINGGGG…..That is such hard work to pull off n d work’s all paid off…such attention to detail… well done. COMPLETELY SPEECHLESS! A WONDERFUL IDEA THOUGH. I have no words to describe this guy!!! I pray this hard work of yours pay off a million times!!! Welll Done!!!! Excellent job!! this is thinking out of the box. it felt so real. this is wonderful. Simply Put Lovely… Yes to a white wedding tho Lol! This is so AMAZINGLY CUTE. love love love it! BEAUTIFUL PIECE OF ART WORK. This is beautiful and entertaining. Meanwhile o, their names should be Bambi (Yoruba name) and Kene (igbo name)…. 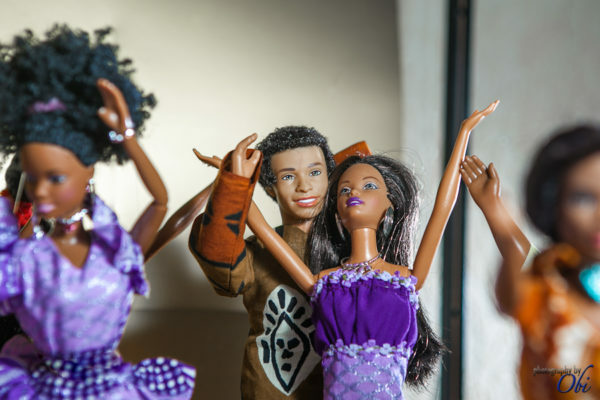 Barbie and Ken could never can’t rock it like these guys can! Wow!!!!!!! I haven’t seen anything more beautiful!!!!! So creative! What made u think of such a wonderful idea! I’m overwhelmed!!! God bless U! I’ m just short of words,Keep it up. well done bro and well done to ur wify. nice concept. awwww. Very creative. Alot of work was obviously put into this! Awesome, and good job Olachi!!!!! i simply luv dis,my mum also is laffing her head off here. This is the best thing I’ve seen in a while. 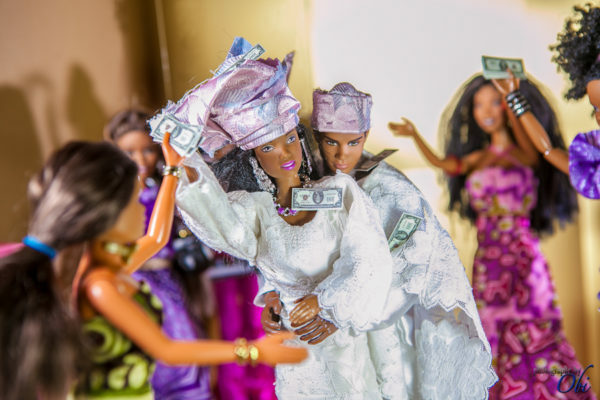 I can’t stop smiling, really captured a true Naija wedding. Naija women and their obsession with Brazilian weave. 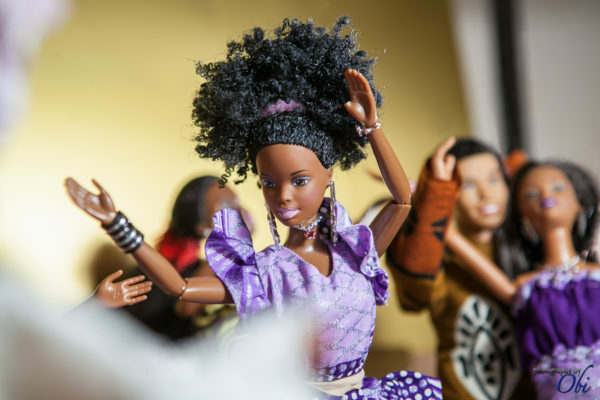 The doll with the curly hair is really cute. definitely d best n most creative piece av seen in recent times.. am still in dat state of bewildermnt.. somborry pinch me!!!!!! Absolutely love itttt…made me laugh as well. A very well done job to you! wonderful pictures and the creativity was just too much. the setting was very beautiful too. keep it up waiting for the white wedding please upload or work on it soon. 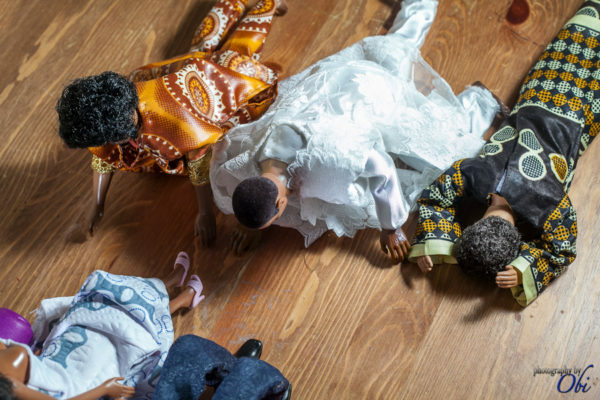 My gosh,too cute..very well done with amazing details.They had a blast from what i see.lol.God bless the mans work..im waiting for the white wedding too..loving the black ken and barbie. As a Nigerian, I’m proud of this and he did a great job. But as an Igbo, I am disappointed by the mere fact that Obi Nwokedi clearly an Igbo man used Yoruba wedding to portray his ideas instead of Igbo wedding. What a shame that our men embrace other cultures/customs instead of their own. A Yoruba man would never have used an Igbo wedding. Seriously? Sweetheart, this is the 21st century; feel free to go back in time if you’re uncomfortable or disappointed with this. madam zara take am easy o. u dont need to be unnecessarily tribalistic. wetin dey always do una sef? i dislike poeple who are so short sighted dey cant even see beyond their cultures. 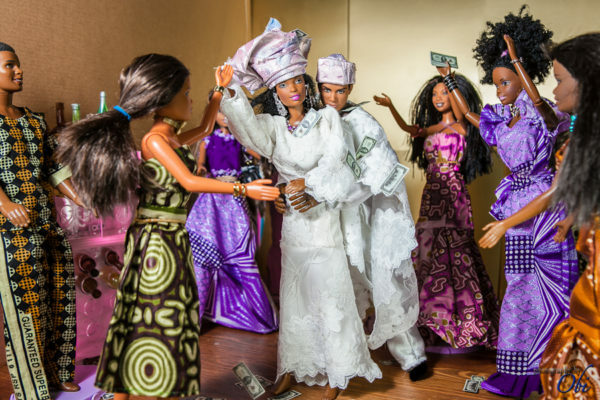 Dont igbo women marry roruba men & vice versa? Dont yourubas employ igbos and vice versa? by d way – since you are so tribalistic, u had better be living and working in ur vilaage o, marry from ur side of d country. My post must have touched a nerve, ehn? You had to post multiple times. Smh! You can cry all you want and post as many times as you want my post still stands. Now go hug a transformer! 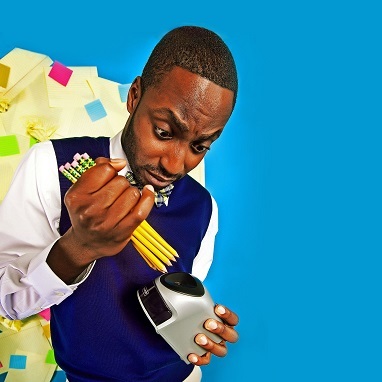 LOVELY CREATIVE PICTURE JARE! TRES FAB. HATERS GO HUG TRANSFORMER. Almost cried with pure joy as I moved from one picture to the next, the child in me wanting to jump out and join the party!! Great storytelling. Awesome attention to detail. A work of art. Well done. why are they all looking like dolls…im confused. 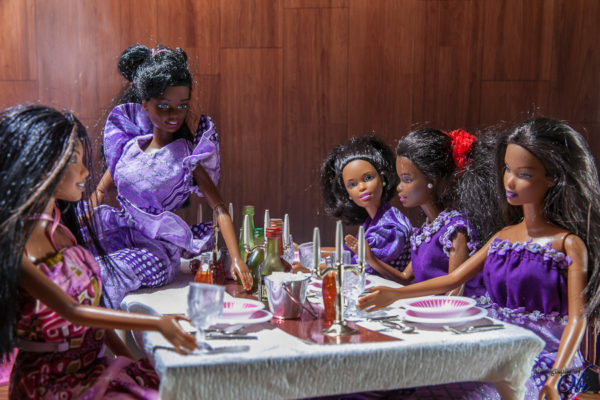 Cos they are dolls …Duuuuh! Bwahahaaaa! Your comment just made my freaking day! You can’t possibly be serious..? LWKMD! 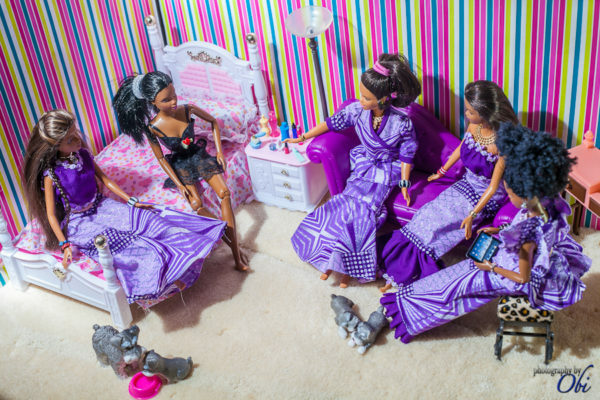 “Why are they looking like dolls”? Hahaaa…what won’t I see on this BN? I will assume that this is a trick question or perhaps you are being funny because I cannot and do not want to believe you are seriously asking that kwesion! As in really? This is called art. Fantastic idea. Good Job. lol, all dis comments are so hilarious, by the way Ken is really cute oh how come i dint meet him first, kai Barbie is one hell of a lucky babe. this is beyond amazing. pure talent. keep it up. meanwhile plsssss we want u to do a photo shoot for the white wedding too. many thanks. 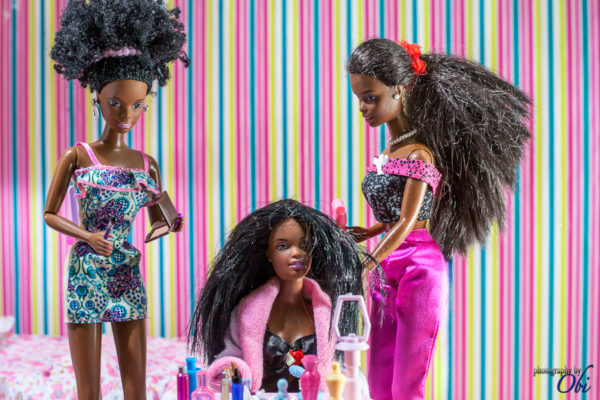 Glad to see that black barbies are being produced. 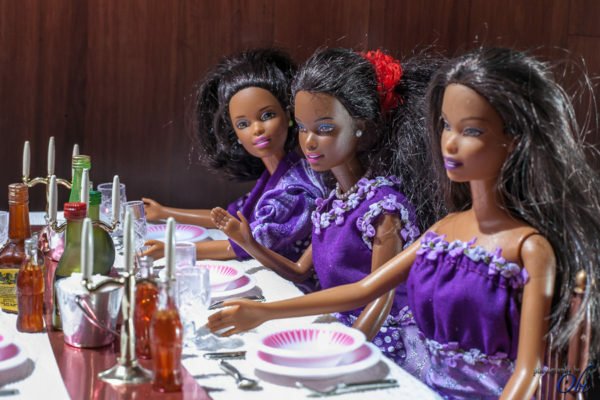 However, at the risk of sounding a little pedantic, there is something a little disturbing (if not very disappointing) about having black barbies that are essentially white barbies dipped in chocolate. I can’t say I have ever seen that many Nigerian women (without the famous brazilian weave of course), that naturally grow straight hair down to their bottoms. Nor have I ever seen that many Nigerian women with clear eyes. 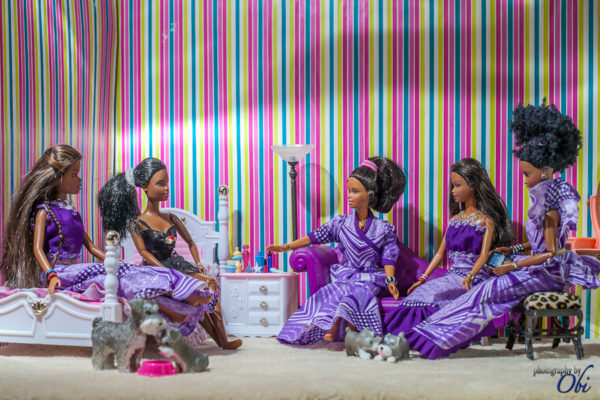 Just saying, if you’re going to start revolutionising the whole barbie industry and introducing black barbies, may as well do the job properly. My 2 cents. This is nice, looking it. Kiss My you know what! I like his interpretation. 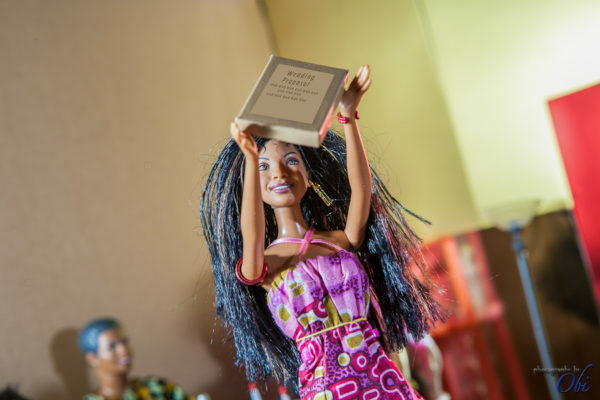 I like that it tells a story that is uniquely African. I hope it brings him the opportunity to exhibit in fabulous places. OU EMMM GEEEE!!! absolutely stunning!!! the details are flawless. “kiss me you know what” you are just a hater n dont know jack about artistic creativity. 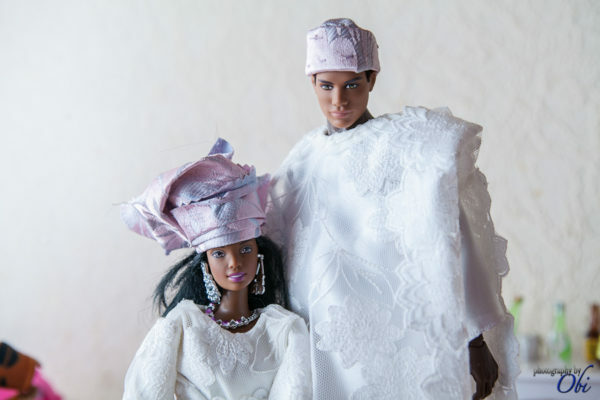 kudos to Obi and like Bella said we need the white wedding version. All the ladies asking for wedding pictures, God go answer una, make una do marry too so bella go get plenty wedding pictures…No offence meant ooo. OMG! I saw this the other day!!! It’s absolutely amazing!!! Especially the attention to detail! this is creativity at its peak. you actually deserve an award for this.. 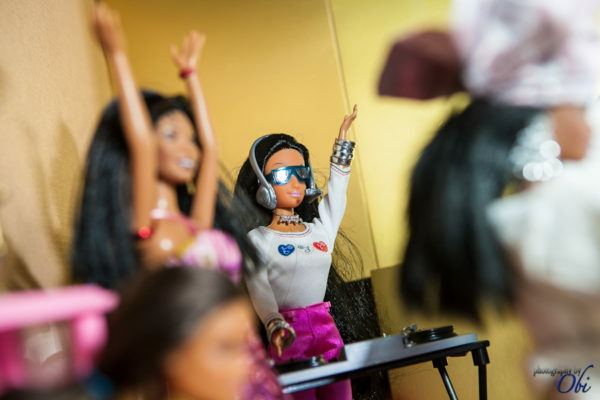 I had a ton of barbies growing up from “Barbie and the Rockers” set to the entire barbie house, car, Skipper, you name it. I really enjoyed the pics! It was fun. On another note, some of you really need to chill out with the comments about weave, skin color, or what you think is supposed to be the phenotype of Black people. Live and let live. 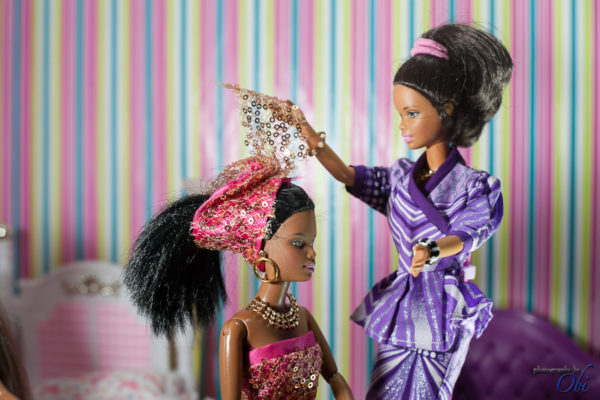 No Black person should dictate to another about how they should present themselves to the world. Yes, we are all entitled to our opinions, but when one wants to ram their opinion down everyone’s throat, it is simply suffocating. This is Wonderful!!! 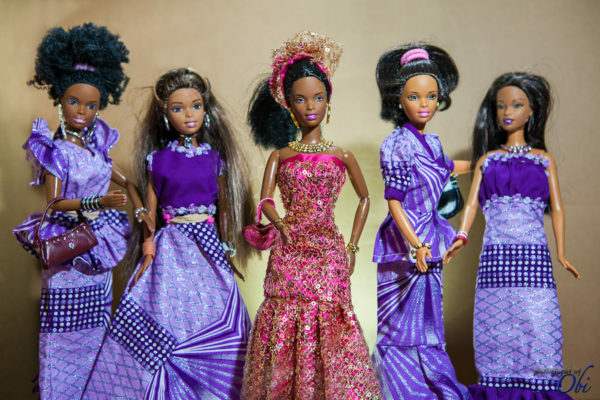 It takes me back to my childhood when I used to visit the tailor shop across the street and use his scraps to make clothes for my Barbies! That last picture is hilarious!! While i was going through the pictures,I found myself smiling all through. Great work. this is really unique and i love it. not an easy job though! I don’t think he needs to do the white wedding because there’s something similar already done out there. 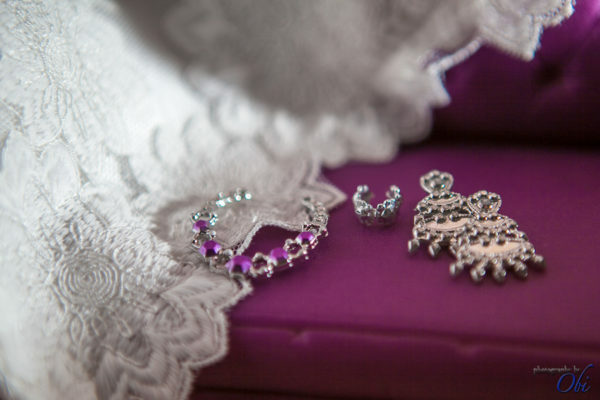 The tradition wedding gave it a unique beauty and appeal. I can’t stop looking at it over and over again, love it. Excellent job!!! this is so nyc,beautiful but absurd,weird n creepy. You must not be familiar with Nigerian weddings. 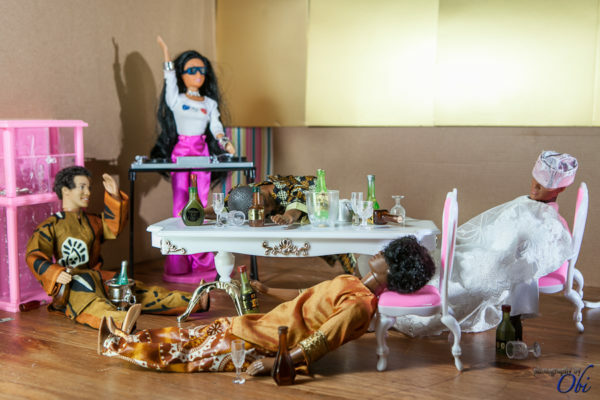 Are you creeped by the dolls or just the display of creativity? There’s nothing absurd or creepy about this. You should have left it at the first sentence about it been nice and beautiful. Amazing! I absolutely love this! Kudos to you and your wife! Awesome!!!! I actually cried cos it seemed so real. Loved the spraying money part! This is an amazing shoot and let me address those negative comments first. y’all must be real sick and sorry shallow minded people to say anything negative about such an uncommon effort! I do appreciate the details, story behind it, and precision (by the way, his wife is amazing)! it’s most difficult sewing such little things. I laughed so hard many times and smiled throughout. Thumbs up!!! 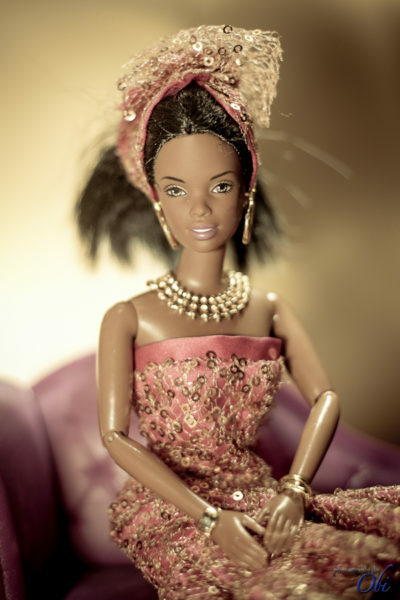 loving it like mc.donalds…i loved barbie dolls a lot!!! was so obssesed with the till i turned 13 ………………i still love them jo!! really cute and creative. I can’t believe i atually looked at all of the pictures! 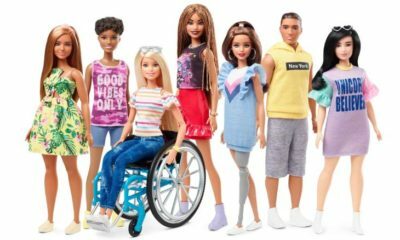 Well done but Ken kinda looks gay! too much power/makeup/fine boyness. He needs to look more rugged! lol! 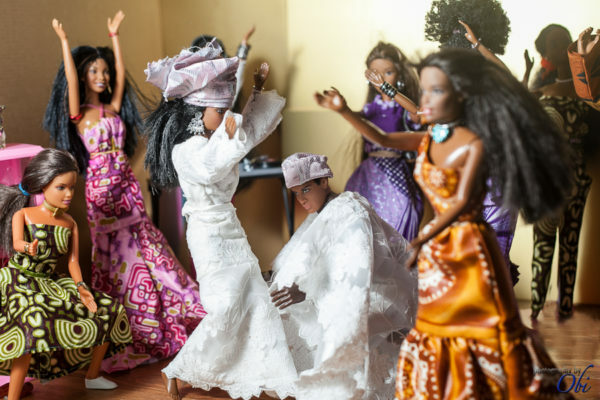 i love it love the story telling-typical Nigerian traditional wedding, i love the attention paid to the glamour the brides depict on their weddings. 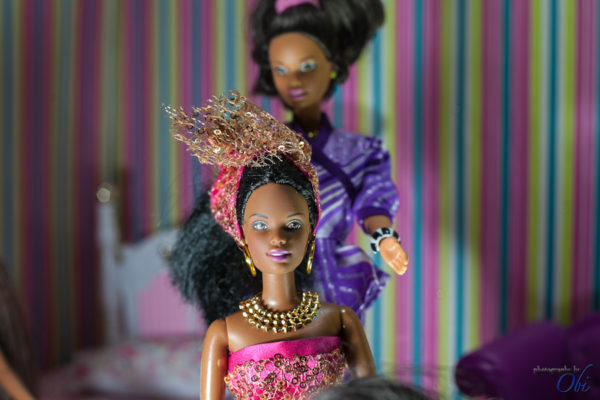 to the one who said the dolls look like white barbies dipped in chocolate…. do you know how beautiful we are in Nigeria? pls take a look at previous wedding posts and you ll see what i am talking about. This is the most beautiful wedding I’ve ever seen! Even better than my own (lol). Great work, Obi. Looking forward to discovering more of your creative, thoughtful, incredibly fine and sensitive work. This is very creative. 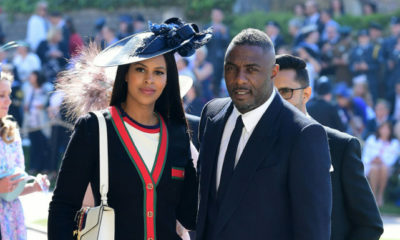 His wife has some talent up her sleeves, to design the outfits in that much detail is not easy. I love Nigerian weddings, no other culture does it like we do it. The outfits are great, the bridesmaid, the groom, just awesome. Obi, you better get ready, you will have more great offers now. Absolutely Brilliant!!! !……Captured every moment of a real wedding…..Brilliant!!!!! Very Creative and innovative….love it! am sooo in love with this photo shoot. its breathtakingly beautiful and creative. just got my heart melting. the only thing i’d replace thoough, is the money, for naira notes> well done! haaahhahahaha i love this!!! this is cute!! 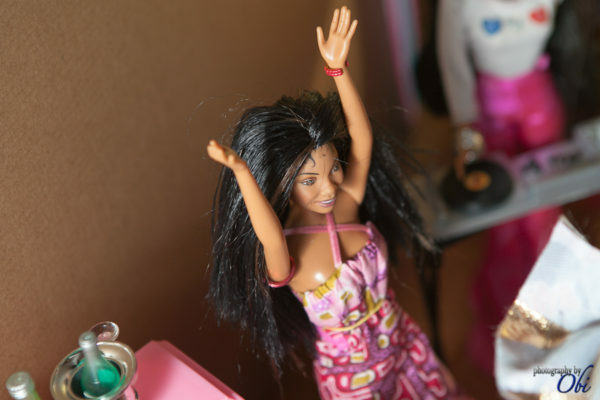 Hmm, no wonder I don’t care for such…never had dolls growing up. Really sappy tradition. Hahaha, it makes nice photographs though. Nice. Hey DJ! i am completely blown away…. i can really feel the passion in his work…one word… AMAZING!!!! Oh WOW! Obi well done! I’m simply speechless! This is absolutely amazing work… Sooo creative! You have so much talent. 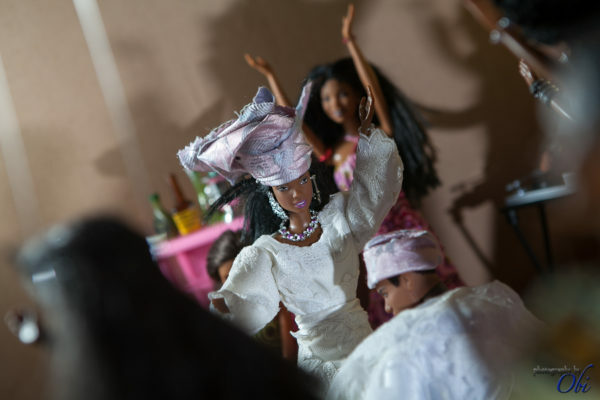 It struck me as if I was at a real wedding…. Simply Beautiful! 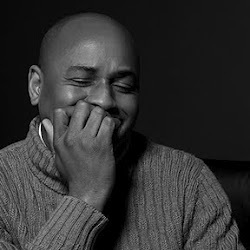 I’m campaigning for Hausa, Edo, Delta, Cross River and Igbo traditional weddings! 😉 God bless the works of your hands! Absolutely amazing. 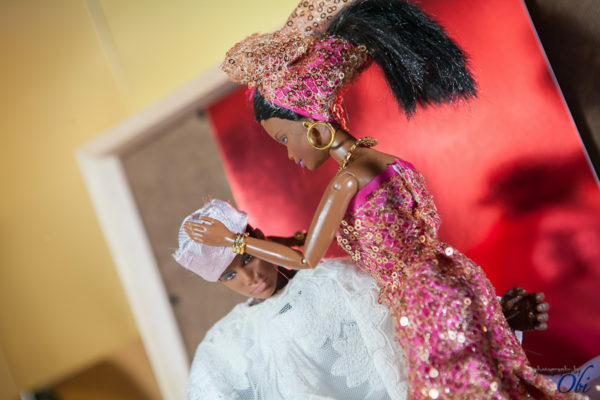 such creativity and good representation of Nigerian weddings. I am so in love with this creation!